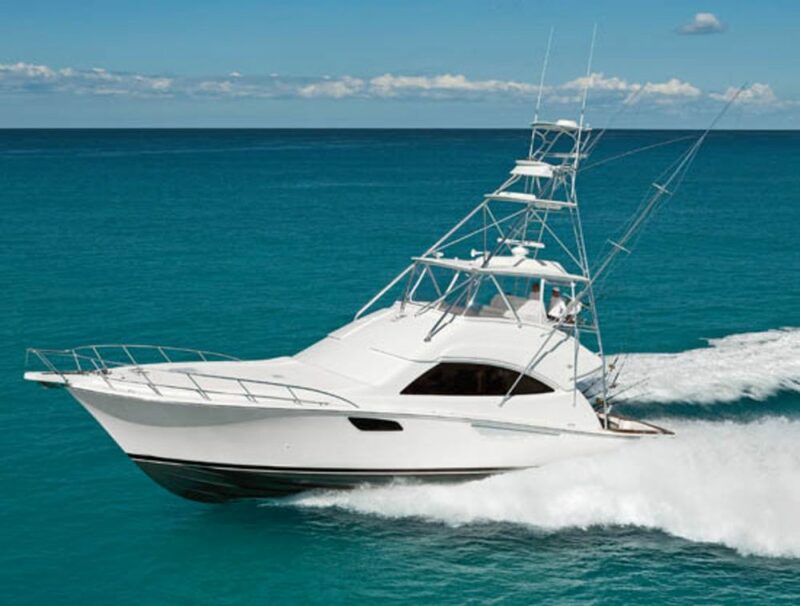 The new Bertram 35 mixes classic styling with contemporary design and performance. 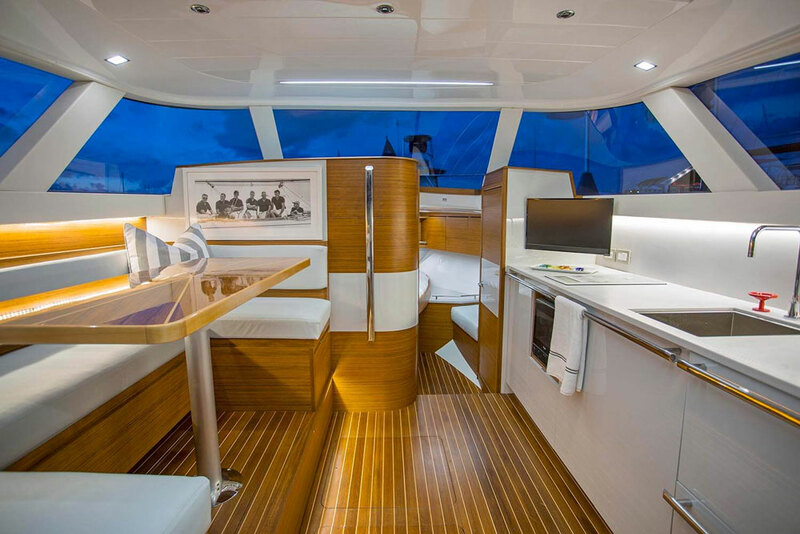 At first glance the exterior styling of the all-new Bertram 35 is the first thing that will strike anyone familiar with the Bertram pedigree, which reaches back some 50-plus years. 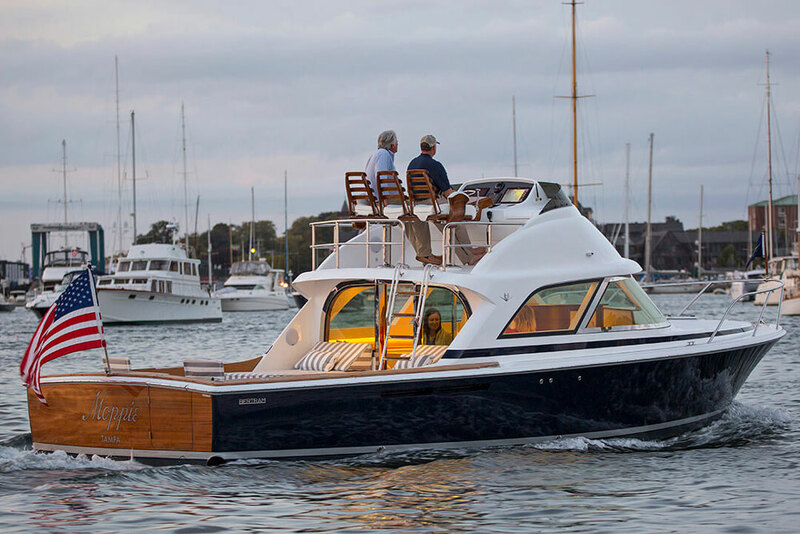 The boat’s flybridge is as curvaceous as the classic 1963 Bertram 31, the unbroken sheer reflects the original prototype Moppie’s no-nonsense wave-chopping attitude, the voluminous bow is reminiscent of the famous Bertram Bahia Mar, and the wide-open cockpit reminds you of any number of fishing boats this builder has produced through the years. Most boaters will find the 35 drop-dead gorgeous, but if you’re a true Bertram fan we suggest moving away from your computer before watching this short First Look Video. Drooling on your keyboard can cause serious damage. While we hate to dwell on looks—there are so many more important aspects to a new boat—the Bertram’s interior décor also demands an inspection. It’s a bit of a shocker, in fact, because after viewing the boat from the outside you expect the classic styling to carry on through the cabin. It does not. Inside, the 35 is bright, contemporary, and forward-thinking. The blend between classic and contemporary jumps out in the cabin, where there’s a surprising cooperation between curves, strong angles, traditional woodwork, and modern fixtures. The sink fixtures are chic; appliances, cabinetry, and countertops are angular; grab rails are thick, ramrod-straight stainless-steel, and yet a tall rounded bulkhead forward both encloses the head and juxtaposes sweeping curves against the angular lines of the dinette and galley. A nod to tradition comes in the form of a teak and holly sole and a dinette table that gleams with multiple coats of lacquer. Windows all around bring in plenty of natural light, and while the lack of a door to the forward cabin reduces privacy, it also ensures that the light and fresh air flow below. Living accommodations are that of an efficiency apartment, not a one-bedroom—but it’s an A-space efficiency you’d expect to find in mid-town Manhattan. In the cockpit, Bertram again gives a nod to tradition with raised forward engine boxes. These aren’t common on modern boats, yet along with the classic look they also do double-duty as sunpads and deliver some serious tanning space. Or, if you prefer, a comfortable spot to relax while you watch the baits. The down-side to the raised motorboxes is the absence of any cockpit units, like stand-up bait freezers or rigging stations. There is stowage in inwale boxes to either side of the cockpit, but if you like to rig your ballyhoo as you head for a day of trolling in the blue water, you’ll need to bring a bucket. 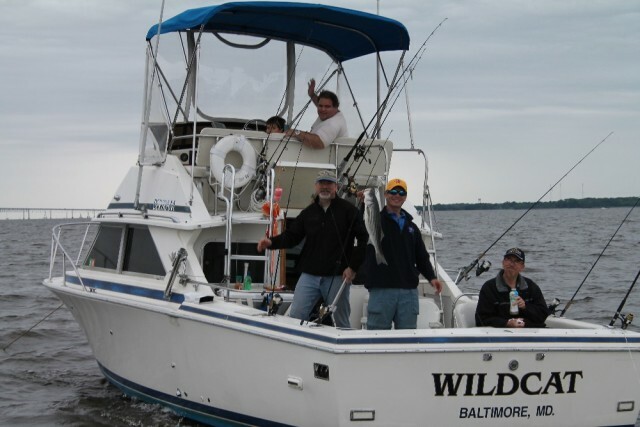 Speaking of trolling: the cockpit is larger than average for a 35’ convertible, there are lift-out fishboxes built into the sole, and the transom sports a livewell. 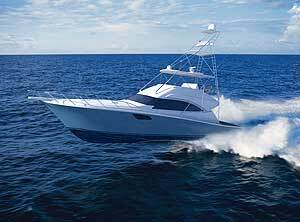 Another mix the Bertram 35 strikes is that between fishing and cruising. Yes, the cockpit can be set up for casual use, but remove a few deck chairs and cushions and it’s ready to accommodate serious anglers. 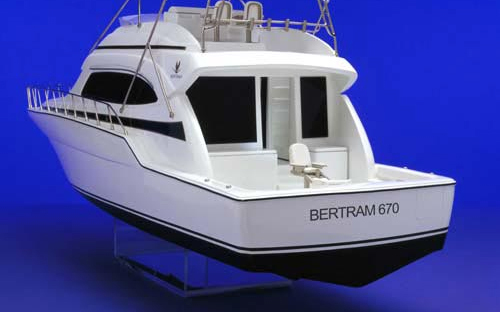 There is one other aspect of the Bertram 35 that completely eschews tradition: construction. While the old Bertrams were laid up like thick fiberglass battle tanks, the 35 is built with infused vinylester resin with Kevlar reinforcement along the keel and strakes. This explains why it tips the scales at a relatively svelte 20,800 lbs. That’s about 10-percent less than an 80’s vintage Bertram 35—which was not only heavier but also carried smaller motors, providing about a third fewer horses than today’s pair of 460 HP diesels. Net result? 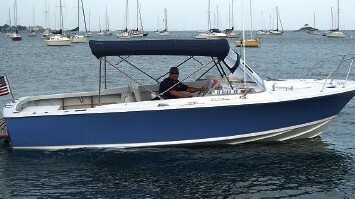 While those old Bertrams struggled to get north of 25 or 26 knots, the new 35 is designed to be a 40-knot boat. Yet thanks to prop pockets, even with straight shafts the boat’s draft is just 2’6”. Before the first 35 was even popped from the mold, four had already been ordered. At both the Annapolis and Fort Lauderdale boat shows the excitement in the crowd was palpable. Countless people climbed aboard to check out the new Bertram, and our biggest problem shooting the First Look Video of this boat was finding a moment when it wasn’t packed elbow-to-elbow in the cockpit. And it’s no wonder, with a look this striking and cutting-edge construction and performance, the new 35 is exactly what Bertram needs to once again become an instant classic. Other Choices: We’re honestly stumped. 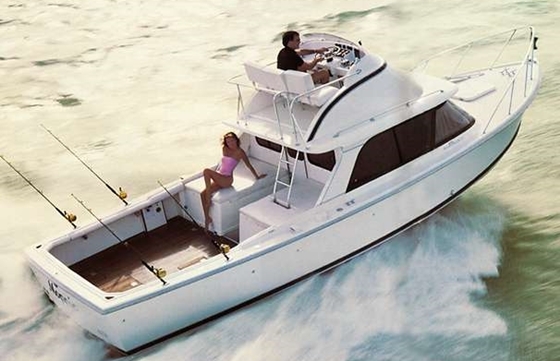 If you can find another boat like the Bertram 35, we’d like to see it. 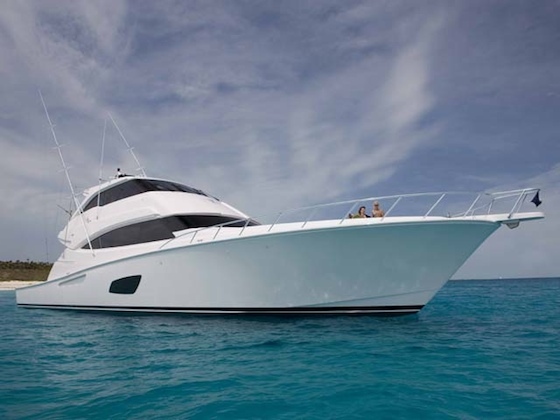 For more information, visit Bertram Yachts.